More Than Just a Listing! It was our pleasure to work with Joanne. Right from the beginning, we knew that we made the right choice in having Joanne sell our parents home. She is professional and warm, a straight shooter. We felt that we could be honest with her and she respected our point of view. She really does keep the best interest of her clients at heart at all times. She kept us in the loop with every aspect of communication, and there was no second guessing around any conversation that she was having on our behalf. I wouldn't hesitate recommending Joanne to anyone that is selling their home, particularly if they are uncertain in the area of real estate. She knows it all! Thank you Joanne for everything. Thanks again for EVERYTHING Joanne. We truly appreciate your professionalism, care and expertise. Thank you! I want to Thank you Joanne for the sale of my home. You were amazing! You did an amazing job of coaching me and keeping me informed while you handled every aspect of the sale from doing your homework on me as well having the background on the buyers while negotiating with their agents. Joanne staged and marketed the house to achieve the maximum selling price. She masterfully managed the realtors who booked 38 viewings in 4 days the house was on the market, creating a multi-offer scenario on day 5 that resulted in a price that was significantly above asking and far more than I thought I would of been able to get. I couldn't have asked for a better realtor. Joanne my family and I can't thank you enough for all your hard work and dedication in making the sale of my late mother's house a pleasant experience. Your expertise in every situation made the SALE from beginning to end a smooth ride. Not to mention the above listing price you were able to get. You were amazing and I can't wait to use your services again in the future. I have had the pleasure of working with Joanne Bolte on many occasions over the years. When you need a real estate agent that is professional, understanding of your needs and able to work with you to get the best service and results for your individual needs, look no further. Not only is Joanne an honest and reliable sales representative but a genuine and motivated agent who puts your interest first. It is without reservation that I would highly recommend you consider Joanne Bolte as the real agent most capable of handling your unique circumstances. Just wanted to pass on some words of appreciation for your support and efforts in the recent sale of our condo in Toronto. Your efforts exceeded our expectations. With us living in Vancouver, had it not been for your assistance and constant tending of the various affairs, we would have had to make many trips to Toronto to resolve issues you took care of for us. For us, it was like having a family member taking care of all our obligations and various commitments that had to be met with the sale of our condo. In many instances you went above and beyond the expectations of a Realtor and for that we would like to thank you from the bottom of our hearts. With your knowledge, expertise and patience you made every difficult situation we encountered so much easier to work with and resolve. You have poise under pressure and a problem solving attitude in the face of challenges and these traits of yours proved invaluable for us throughout this process. Thank you for your hard work, dedication, guidance and most of all for being a good friend during this process. We would highly recommend your services to anyone who requires a true professional and a person that looks out for her clients best interest at all times to act on their behalf. We wish you all the success in the future and we hope to keep in touch! Joanne helped me and my fiance purchase our first home. We were referred to her by my fiance's parents who also had a great experience working with Joanne to sell their parents' home. Joanne is professional, personable and hardworking. Her knowledge, experience and negotiation skills have been extremely valuable for us. She is honestly one of the hardest working professionals I have ever met. You will really feel like you are her only client and her highest priority. We are more than happy with our experience of working with Joanne and would not hesitate to recommend her to our friends and family. Joanne, we truly appreciate all your help and guidance during this process. We made a great choice in selecting you to work with. All the best for Easter. Thank you so much for handling our sale of 28 Lucerne Court. With the passing of my Mother, I was dealing with enough, and it was comforting to have someone as knowledgeable and professional as yourself on my side. You were always there to reassure me on those days when I felt down, or nervous about the sale. You were so professional every step of the way, yet kind and warm, like a friend. I would not hesitate to highly recommend you! Thanks again! Our family had the opportunity to see Joanne on both sides of a Real Estate deal. Mom was down-sizing. First, Joanne sold us a condominium, that was the first time ever meeting her. Then Joanne sold Mom's house. At all times we felt we were dealing with an honest and forthright person. Best of all, Joanne stayed in touch with us as often as was needed. We found Joanne to be both diligent and comforting to us at all times. We first worked with Joanne 7 years ago when she sold our home for us and assisted us with purchasing another. The experience was so great that when it came to sell again, there was only one person that came to mind to help us with this sometimes stressful process. Joanne just sold another home, and as is her normal mantra, was there every step of the way to offer support and assistance. Joanne is second to none, she is on top of everything from very early in the morning to late in the evening. Joanne thank you so much for your continued support and kindness wouldn't have done it with anyone else, we truly appreciate it! In the challenging time of selling condos, Joanne went above and beyond all others. The building we lived in had numerous condos available for sale and many lower in price then what we sold for. Joanne's patience, kindness and optimistic attitude helped us thru the challenge of waiting for our condo to sell. She willing gave 150%, going above and beyond what we thought a real estate agent would do!! Always ready to listen and to reply to our calls. She worked diligently to ensure that we got the best price for our condo. We would recomend her to anyone wanting to sell - and are so very glad that we choose her to sell for us! Thanks again Joanne. My wife and I have worked with Joanne Bolte on several occasions for buying and selling our home and each and every time she has exceeded our expectations. Joanne’s knowledge of the real estate market , her negotiation skills and overall professionalism are why we sold our homes quickly and over asking price. We will continue to use Joanne in the future with full confidence she will have our best interest at heart and get us the best house and the best deal. At our initial meeting, Joanne arrived prepared with a comprehensive package of information and list of comparable properties. She gave thoughtful recommendations on how to prepare the house for sale and I felt confident she would be the best agent to guide me through the difficult task of selling the house that had been in our family since 1962. During stressful dealings with family members, Joanne was very supportive and helped me to remain optimistic. She always responded quickly to every e-mail and phone call. back-and-forth negotiations, Joanne handed the situation with confidence and professionalism. The house sold within days of listing well above the asking price and Joanne was available to answer any questions right up to the closing date. I would not hesitate to recommend Joanne Bolte. Thank you ever so much for your kind words and the house warming gift. It was greatly appreciated but really unnecessary as you have done so much for us already. We would like to Thank you for all of your work and diligence. We know that finding a home that met our needs wasn't easy, but you said at the beginning that you had never been defeated and over the past few months, you showed us why. We had heard from friends that buying a first home can be a stressful and daunting task and although this may be true, having your experience and expertise made it a relatively painless process. We couldn't be happier with the job you have done for us and we will most certainly recommend you to anyone we know who is looking for a Real Estate agent. Not just for the quality of your work but because we believe that you are an agent that truly cares about your clients. Trish Manning, Sales Manager for our 905 King Street office asked if I would send you a quick note acknowledging "a job well done" between fellow Royal LePagers. I understand that you co-operated on a listing with Trish Manning and Trish felt that you exemplified what a Royal LePage agent should be, smart, dedicated, professional and service oriented. tremendous work that you and others like you do in your daily routine that makes us look good. Thanks for all your efforts and continued success. It is with the greatest pleasure that Jacqueline and I would like to THANK you for your professionalism and persistence in selling our Marshall built bungalow home in the “TALL PINES” area of Pickering and finalizing the purchase of a replacement downsize but upgrade home in the Bradbury enclave in Ajax in October, 2010. Joanne's strengths are her honesty, experience in the GTA real estate market, customer focus and she was very helpful in guiding us in setting an acceptable price and setting up open houses. She was prompt in installing signs, running advertisements and following up on every detail. Joanne kept us informed on the progress with an accurate listing, arranging for potential homes on the market for sale, competitive pricing and purchasing. We sold and within 2 weeks we located a home bought the house. Joanne even assisted with our GARAGE SALES and identifying a professional contractor to complete the basement in our replacement home during the quick transition. 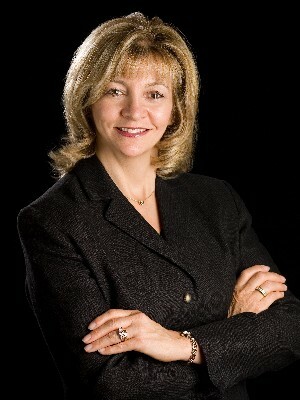 We highly recommend Joanne Bolte to anyone looking for a highly effective and reliable real estate realtor. Thanks for 2 assignments completed to our 100% satisfaction!! We now consider Joanne as a friend. We have already whole-heartedly recommended you to friends and former neighbours! Truly, you are an outstanding professional with the highest standards of excellence. Your dedication takes customer service to the level of "customer care" and your genuine interest in what was best for our family made us feel as though you were a friend, not a hired representative. THANK YOU! From day one, you listened attentively to our needs, our concerns and even our hopes for the future (including items on my bucket list). Your expertise, drive, and gentle assertiveness got the job done, and done extremely well. If there was something that needed to be addressed, you were already taking care of it for us and your follow-through on ANY matter was incredibly speedy! Your availability made it seem like you were were there for us 24/7. When some emotionally difficult days arose, you allowed us to make our own decisions. You encouraged when necessary but never pushed or cajoled. The compassion, kindness and insight you showed towards us are greately appreciated. Joanne, thank you for the pleasure of working with you. We shared memorable moments in your company including many good laughs. You are a special person and we highly recommend you to anyone looking for an exceptional real estate representative. It has certainly been a pleasure to have worked with Joanne in the recent sale of my property and purchase of my next home between the period July 2009 and the present. She made an otherwise stressful experience, extremely seamless. I was particularly impressed by her exceptional professionalism at every stage of the process. From the evaluation of the property, which I believe she did very fairly, to the advice provided along the way, keeping me updated at every stage, until the negotiations for both the sale and purchase. At every stage I felt we were working as a team. She has a strong insight of a client’s needs and a sound understanding of the neighborhoods she operates in. She has gone above and beyond what is expected from an agent. As a testimony to my confidence in her abilities, I have referred her to several of my friends and relatives, who have in turn had only positive experiences in working with her. She was able to negotiate a very successful deal in selling a downtown condo on behalf of my brother-in-law, who lives in Dubai. He was very appreciative of her efforts and will be certain to work with her again. At the outset of my selling process, when researching for various Agents to work with, I was looking for someone who would understand our personalities, aspirations and needs. At the culmination of this process, we now have a friend in Joanne. I am privileged to provide this recommendation for her. You did a Wonderful job, gently pushing us to get the house ready--knowing when to let us breathe, accepting when we were "pooched", being empathetic when we wanted to extend our date, and then again extend our date:) and then sprinting for the finish line when you knew we were close:) And by the way, you cannot teach anyone what you are capable of doing..it is ’inborn’-people skills, you got ’em and they are WAY ABOVE PROVINCIAL STANDARD-Level 10+!!! We appreciate the endless work you put into the sale of our home. Your professionalism and positive attitude resulted with the sale in a tough market. We are sure these traits will continue to be successful for you and would recommend you to anyone. We still can’t believe how fast this whole experience was. We thank you so much! It was a pleasure working with you and we will be happy to recommend you to our friends and family. Thank you again for your professionalism and support in the sale of our house. I knew at the beginning that the sale would not be straightforward or easy, but you never wavered despite the pressure, stuck with the gameplan and closed a deal that set a new standard for our area. You were always a pleasure to work with and I wouldn’t hesitate in recommending you to anyone in need of an agent. Joanne Bolte is everything one would want in a real estate agent – professional, competent, personable and committed. She is extremely hard-working and is always willing to go above and beyond the call of duty in order to help her clients achieve their goals. Joanne took the time necessary to ensure that we were well-informed throughout the process of selling our Pickering home. From market evaluation to listing, preparing our home for showings, successful open houses and the actual sale itself, we trusted Joanne’s experience and advice. She was readily available and accommodating at all times. We would not hesitate to recommend her services. With Joanne it really is more than just a listing! If you want your home sold, look no further than Joanne Bolte, success is her game! Her professional skills are apparent right from the time you meet her until your house is sold. She is pleasant, staright forward and offers excellent advise to help you sell your home that you should follow. She keeps you informed and works very diligently to sell your home. The traffic through our home was tremendous as a result of her proven marketing efforts. We are very pleased with the sale of our home and and would recommend Joanne anytime. Joanne, we would like to express our appreciation and respect for the service provided by you during the recent sale of our family home. You were always the ultimate professional in all our dealings and delivered results for us that led to a timely and satisfactory sale of our house. We will, without reservation, recommend your services to friends & family. Thanks again for your help. I wanted to thank you for your all your advice, assistance, and patience during the sale of 201 Randall Crescent. As you know, it has been an emotional time to sell the family home of 60 years. You were very professional and supportive throughout the entire process. It has been a pleasure working with you and I would highly recommend you to friends and family. Thanks Joanne for all your Hardwork in helping me sell my house. Now you can say to your clients that it pays to have Open Houses & many well positioned signs. Joanne, we are so glad our friend Linda referred you to us, we are not disappointed in any way! She said you were a genuinely caring person, a professional and a hard worker! We are pleased to have dealt with you. What pleased me the most was your time that you devoted to keep us appraised of all the details not just what was deemed important. This act made us feel that you truly had our best interest at heart and that you were there for us. We wish you all the best! Joanne, I would like to express my sincere thanks to you. When you have to sell a family home, it is a very difficult and emotional experience and you have been there 100%. Your professionalism, tremendous work ethic and sincerity have truly been appreciated. I cannot imagine having gone thru this experience with anyone else and will highly recommend you! You were a pleasure to deal with. Thanks so much for everything! Joanne, we would like to express our sincere thanks for the great job you did in selling our house. Thanks to your great negotation skills and your hard work, the house sold in just 2 days for exactly the price we wanted. We appreciated your good work and the professional attention you devoted to the sale. It was a pleasure to work with someone who cares about her clients and we could not be happier to have chosen you as our agent. You’re the best! I am happy to recommend Joanne as an Agent. In helping us sell our house, she was unfailingly professional, knowledgeable & helpful. The contacts she provided for house cleaning & general cleanup did an outstanding job. After meeting with Joanne and discussing her sales plan, I felt confident that she would be able to do whatever was needed to achieve the best price for our home, in a reasonable amount of time. She certainly delivered what she promised. Joanne, Thank you for your guidance and support in the sale of my home. Your professionalism and integrity were refreshing and very much appreciated. You came highly recommended and in turn would recommend you without hesitation. Thank you for all your time & everything you did for us. Keep up the good work, you care so much about helping people and you helped us a great deal with your late hours. Thank you again! Joanne, you are truly "Amazing" Thank you so much for making my dreams come true! I am so relieved that you are my agent. You are impressive! Joanne, Many thanks for your patience & professionalism in helping us get the optimum price for the house, given the current market state. When thinking of an agent, your name is the only one that comes to mind. Thank you! Thank you very much for all your help. You called us to "List" and worked hard for us to sell our property. Thank you again! This is a small token of our appreciation for all of the help you gave our family with buying & selling our home. You understood the difficult decision we had to make for our family & you showed us the compassion that we required at such an emotional and stressful time! Thank you for your generosity & kindness throughout the process. Thank you also for the wonderdful gift, it’s getting tons of use. Your business is certainly booming! Congratulations & keep up with the fantastic work. Your clients are lucky to have you, just as we were! Thank you once again Joanne! Joanne, we want to "Thank you" for the assistance you provided in co-ordinating the sale of our house. You conscientiously ensured that every detail was covered and that the transaction took place efficiently and with as little disruption as possible. Again, our thanks Joanne for minimizing our stress during this exciting time. Your sales record with the Walker Family is now 2 out of 2. Your handling of the sale of our son’s home on his recent transfer to Calgary, gave us the opportunity of assessing your ability as a Real Estate Sales Person. Thus, there was no question of who would handle our home sale when the need arose last fall. We were not disappointed! Your professionalism, concern and thoughtfulness made our move, after 46 years in our home, a most pleasurable experience. Not only are you a super salesperson, but you have become a friend. We were blessed to have had you working for us. Thank you! Joanne Bolte has done an outstanding job of finding the perfect home for my daughters and I. I was very impressed with how persuasive she was in closing the transaction on my behalf and how considerate she was throughout the whole process. She’s a pleasure to work with and was very thorough with all the details! Tony Knight said it was a pleasure working with you on the sale of 121 Ling Rd, Unit 304. We at REMAX Rouge River Realty Ltd. truly appreciate hardworking, dedicated professionals such as yourself! We look forward to working with you again! Joanne, John & I would like to take this opportunity to express our gratitude and appreciation as our Sales Representative during the selling of our old home & the purchasing of our new home. Joanne you were receptive to all our needs & we would like to thank you for everything you did for us! I just wanted to express how pleased & impressed we were with Joanne. She worked very hard & definitely provided service with a smile! She sold our house for a fair & just price. Everyone is pleased, including the Buyer. Thank you Joanne for a job well done! Selling your home can be quite an emotional roller coaster ride. You want your Real Estate agent to be there both for you and with you during the up & down times, and Joanne Bolte does just that. You’re not just a Sales commission but a person to Joanne, and I would highly recommend her services and dedication. Joanne is there from the beginning of the deal right to the day of closing offering her expertise and support. Joanne, Thank you for all your hard work in selling our house! We are so relieved. Your professionlism & support throughout the entire process has been wonderful, we truly appreciate all you have done! It has been an absolute pleasure meeting you and working with you. We’ll keep in touch and let you know how we are all doing. We will absolutely recommend you to anyone we know is in the market to sell and or buy, you have made this a great experience. I want you to know you were very professional and put my mind at ease when you told me "not to worry, I’m here to help you". I really appreciate your patience & kindness you showed to me and my family. I know you worked very hard and were available to me at all times. I do look upon you as a friend. God bless you in all that you do. Just a note to say that it was a pleasure working with you on the above transaction. There is nothing like a firm deal, and I always have a warm spot in my heart for the Agent that helped me do it! I was impressed by the level of professionalism you demonstrated in handling you end. Hopefully, we'll show each other's listing in the future. The experience we had buying our first home with you was truly amazing. The work you do is extremely professional and you were with us through the whole process, to choose the best property to fit our lives; always having our best interests at heart. The effort you put into helping us find the perfect home was fabulous. You are highly organized, knowledgeable, detailed, attentive, and personable. When we need a true real estate professional again, we will, without hesitation, be seeking your services and assistance. We couldn't ask for a better agent...and friend. Thank you so much for everything! I can't express enough what a great experience we had having Joanne representing us as the seller of our property. Her terrific personality and work ethic contributed to the success of selling the condominium in only 2 weeks. Joanne's honesty and great communication skills allows her to quickly assess the property and current market conditions to provide realistic expectations. Throughout the process Joanne offers the utmost professionalism and takes a sincere interest reaching the end goal. Thanks again for doing such a marvelous job!!! I would like to receive email updates from Joanne Bolte regarding Real Estate in my area(s) of interest.